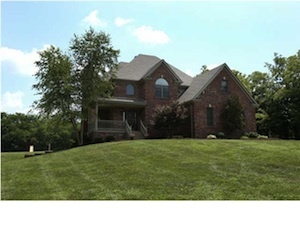 This amazing home is an all brick walk out two story home sitting on over ten acres. 3508 Hebron Rd Shelbyville Ky 40065 is Located thirty five minutes from downtown Louisville just over seven miles fro I-64. 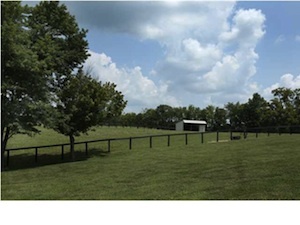 This home has an open floorplan, proffesional landscaping, horse fencing, to paddocks, (each includes water and electricity runs to the two run ins. The home contains incredible quality and detailed interior. This includes hardwood flooring, a full bank of floor to ceiling windows, crown molding and granite countertops in the kitchen. The immaculate carpet is less than two years old. The dining room has wainscoting and a tray ceiling. 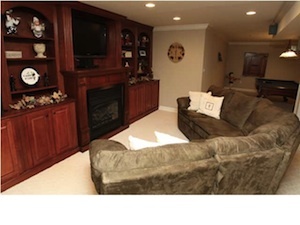 The Greatroom has recessed lighting and beautiful custom built in cabinets. 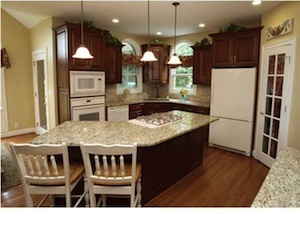 Granite countertops are in the Kitchen along with a tiled backsplash, walk in pantry, a breakfast bar and a gass stove. Just off the Kitchen is a beautiful screened in Porch. The upstairs contains large bedrooms. One bedroom has a seperate work of play area. There is room in the basement to build a forth bedroom if so desired. The Master Suite has a spacious walk in closet and private laundry area. Currently, this area is used as an office space.The Master bath has a double bowl vanity, custome cherry cabinets, and a seperate whirlpool tub. 3508 Hebron Rd Shelbyville Ky 40056 is a great way to live on a farm in Shelbyville Ky while maintaining all the comforts of living in the city. 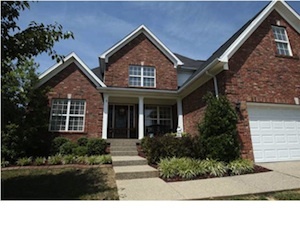 For questions about this home or other homes in Shelbyville, Ky, Contact the At Home in Louisville Team. The Lynn Thomas Real Estate team would like to thank our clients Kevin & Nicole Kohrs, Patty Peace and Kathy Kleinhelter for alowing us to help them sell their home. The Lynn Thomas Team would also like to thank Nick & Linsey Gilkey, Tony Martin, Jay & Angelica Saunders and Betty Muckey for choosing our team as their real estate professionals. We are truly grateful to be able to help them with such an important decision; helping them buy their home. We are honored to have the opportunity to serve them. So What Happened with Louisville Real Estate in the Month of June 2011? Comparing the two charts above allows us to see where we were in June in relation to where we were Last year at the same time. Let's look at the Homes Sold first. The amount of Louisville Homes that sold this month dropped by 380. In the Month of June, 1101 homes sold compared to 1481 homes that sold this time last year. The Average sales price rose by $3829. 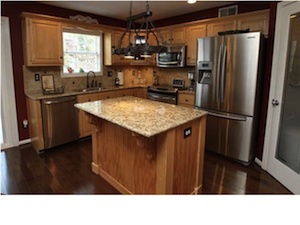 Last year, on the same month, the average sales price was $174,829. This year it was $178,658. The amount of Homes that went on the market dropped by 4. It fell to 2461 down from 2465 in June 2010. So, roughly the same amount of homes went on the market this year as did last year. Interestingly, fewer homes sold this year over last year while the homes that did sell sold for more money. So, the amount of sales dropped slightly. While the amount that the average sale brought went up. The amount of homes that went on the market stayed roughly the same. This would seem to indicate, compared to last year, slightly fewer homes are selling while the amount of the homes are selling for more money. The amount of homes to choose from are about the same. So What Happened to Real Estate in the rest of the country in the Month of June 2011? Home prices rebounded 3.4% in May with median home prices rising to $166,500. This is 4.6% below the year-ago level and continues to keep the median price close to 2002–2003 levels. Just under 1 in 3 homes sold during May were distressed properties, which typically sell at a 10%–20% discount. This is down 6 percentage points from April and is exactly the same as a year ago. Investors represented 19% of sales, and first-time buyers accounted for 35% of May sales compared to 14% and 46% respectively a year ago at the peak of the tax credit. Home prices and mortgage rates remain favorable for buyers heading into the summer selling season. Rates are at a record low after steadily declining throughout May, primarily due to uncertainty in the global and domestic economies. While these incredible rates represent a significant savings for home buyers, experts note that for the benefits to fully be realized, lending conditions must loosen so more buyers can take advantage of them. As overall economic activity gets back on track, rates will likely rise to keep inflation in check. In other words, the window of opportunity for buyers to lock in these historically low interest rates may not remain open much longer.